Ways you can consolidate your debts include taking out a personal loan, using the equity in your home or transferring your credit card balances into one low interest card. Personal loan – if you don’t have an asset such as a home to use as collateral, an unsecured personal loan may be a good option, particularly if your debts are comparatively small. A low interest short term loan of up to 12 months can give you the time and additional funds you need to pay off your debts and the new loan as well. Home equity loan – if you own your own home, you may have built up equity in it (the difference between its market value and what is still owed), which you can borrow against to consolidate your debts. Credit card transfer – finding a credit card with a lower interest rate and transferring the balances of your high-interest cards onto it is another way of consolidating smaller debts. Many cards only offer low interest for an introductory period however, so you would need to use the money you are saving to pay off the new card during this so-called ‘honeymoon’ period. Your credit rating – if you have been struggling to make repayments and your credit rating is poor, you may not have access to a low interest loan, in which case you may need to look beyond traditional lenders. Associated fees and charges – while your new loan may have a lower interest rate, there may be costs associated with it that will counteract any savings you would be making (i.e. if the loan is secured against your home, there may be valuation fees and stamp duty involved). Some of your current loans may also have penalties for paying them out early and your new loan may not allow you to make extra payments, so you need to do the maths thoroughly to make sure you will come out ahead. The credentials of the lender – in Australia, all debt consolidation companies and credit providers are required to be licensed by the Australian Securities and Investments Commission, so it is very important to check their credentials and to make sure all terms and conditions of the loan are in writing before committing yourself to anything. Debt consolidation can be an effective means of reducing debt for many people. The key is to do your homework and seek professional advice regarding anything you are unsure about. 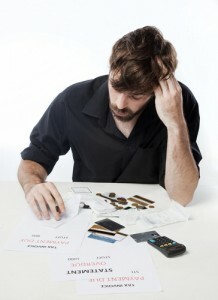 Remember, if you take out an equity loan, your home could be lost if you default on the loan for any reason, so you need to make sure that (a) the loan is right for you, (b) that you have the means to repay it on time and (c) that you have the determination and self-discipline to focus on paying off your debts in as short a time as possible.